Distribute the cauliflower and onion evenly in a big pan with oil over medium-high heat. Let them cook without stirring until they turn lightly brown. Mix the ingredients and add paprika, salt, black pepper and water. Cover the pan and cook until the cauliflower is tender but not too soft, and until it’s golden brown. This should take about 3 to 5 minutes. Lower the heat and add the garlic. Cook for 2 more minutes, stirring constantly. Add the lemon juice and stir until it evaporates. 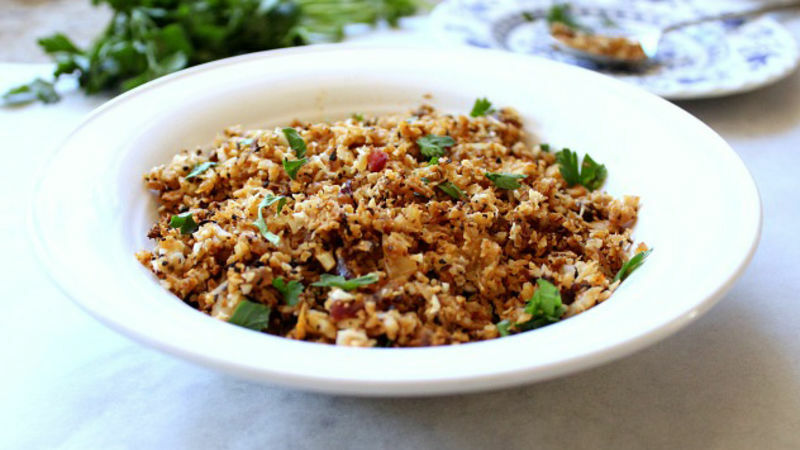 Serve the cauliflower hash and garnish with parsley. You can also serve with a fried egg. Make this Cauliflower Hash and serve it with a fried egg. This is the perfect breakfast to start your morning full of energy.